…well maybe not, but certainly from Denmark. 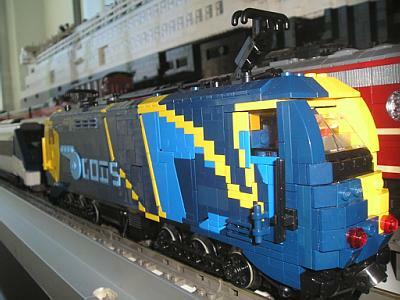 Henrik Thrane has created a series of absolutely brilliant Danish trains for a museum. The quality of the imagery on the side of the one I used as a picture here blows me away but they’re all brilliant. For those less familiar with the finer points of LEGO I should also note that the dark blue colour is a horrible one to work with making these even better.